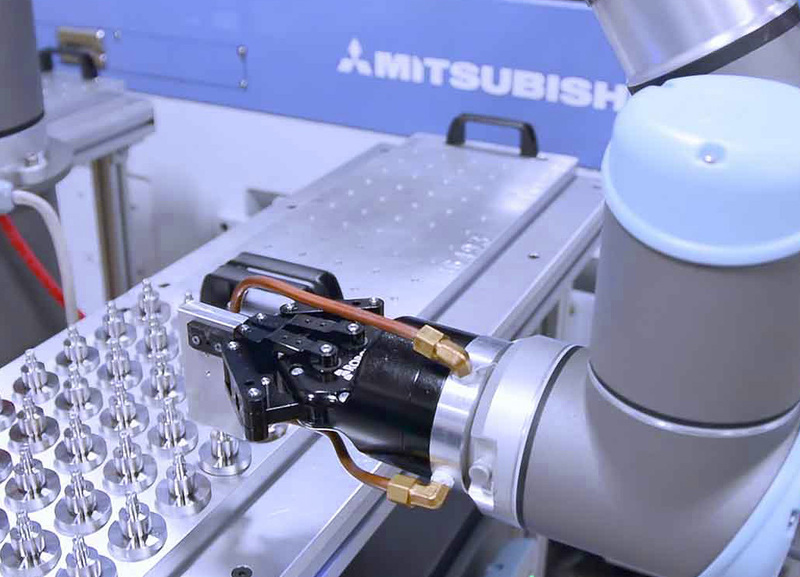 As the CNC industry continues to thrive, more companies are looking to use cobots to assist their machine operators. Recent advances in cobot technology have enabled companies to fully or partially automate the tending of CNC machines, even for short production runs. The inherently safe design of cobots allow operators to easily perform tasks like quality assurance inspections or adjusting cobot parameters without having to deal with safety cages surrounding the work area. Robot27’s team of programmers, engineers, and technicians can assist your business to set up the ideal working environment shared by cobot and operator. From engineering the cobot’s workspace to designing custom grippers or end effectors to handle parts entering or exiting CNC machines, Robot27 provides the support you need to get your CNC tending operation functioning in a minimal amount of time.